As you journey through life, change is inevitable. You get older, wiser, and start to value certain things differently. It might be the activities you enjoy, the relationships that are important to you, or how you balance family and career. And then there’s whatever life throws at you unexpectedly! Having the right insurance in place can help protect what’s most important to you, and help you rest a little easier. Taking out life insurance offers a whole range of ways to safeguard what matters most. Think of life insurance as a reliable and valuable safety net — there to catch you when things don’t go to plan. Life insurance won’t stop the unexpected happening, but it’s there to provide some financial help when it’s needed most. When something significant changes in your life, it can be a trigger to think about what insurance you might need. Major life events can signify a need to reassess any existing life insurance to see if it’s still a good match for your needs. Congratulations! Those unique skills that you’ve been honing have proven to be quite the valuable asset and you’ve scored a new job. Whether you’re entering the workforce for the first time, have recently been promoted or are moving to a new job with a higher salary, it’s a good time to think about income protection insurance. While you may have access to paid sick leave, if you have a serious illness or injury, it may not last as long as you need to recover. Income protection provides an ongoing monthly benefit as a percentage of your regular income, to help fund your living expenses and medical bills when your salary stops. Bringing a little one into the world changes everything — including your finances. So while you’re spending all your spare time choosing prams, car seats and the all-important baby name, it’s a good time to think about insurance as well. 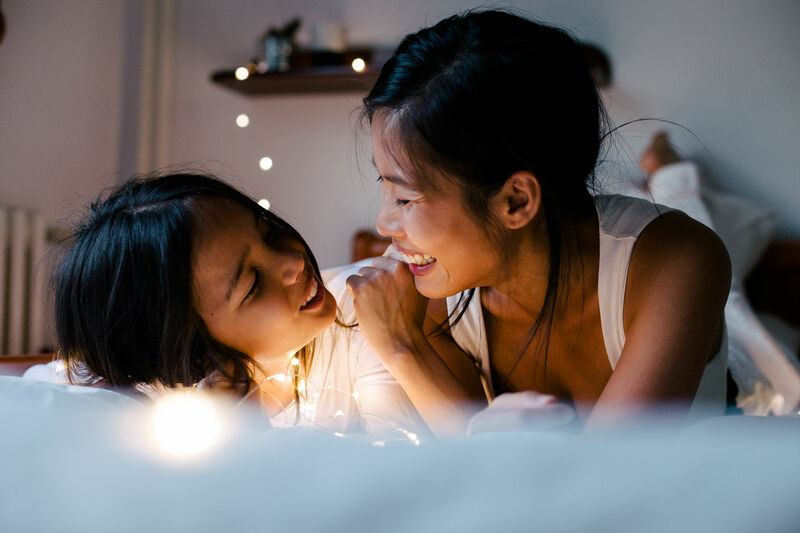 Providing for your children now and into the future is one of life’s biggest responsibilities and thankfully, insurance can help you map out a contingency plan, just in case. There’s nothing like losing someone close to you to bring into focus what’s important. It can also get you thinking about what would happen to your own family if you were no longer around. Having the right protection in place can provide you with some reassurance that your family could manage financially if you weren’t there to support them. Buying a home is one of the biggest decisions you’ll make in your life, and a long-term financial commitment. If you’re taking out your first home loan, or increasing your mortgage, the right insurance can help you plan for the unexpected. If something happened to you or your partner, who would pay your mortgage and other ongoing expenses? If there’s no obvious answer, it’s worth considering if a life cover policy is for you. If you were unable to work, either temporarily or permanently, how would you keep your mortgage repayments on track? If being protected is important to you, it’s worth considering if income protection or total and permanent disability (TPD) cover can give you the peace-of-mind you need. This type of cover can help keep the money coming in when you’re unable to earn it. You’ve put in the hard yards to build your career and you’re in a position to spend money on some of life’s big ticket items. You’re ready to buy a new car, plan an extensive overseas holiday, or you might even be thinking about getting into an investment property. It’s a good time to consider if income protection insurance is the right back-up plan if something was to go wrong. Wherever you are in life, from taking the plunge with your first home to making major life decisions, having the right insurance can help safeguard you, your family and the lifestyle you enjoy. Important things you should know: The information contained on this page is of a general nature only and has been provided without taking into account your specific objectives, financial situation or needs. You should consider the appropriateness of the information in light of your particular needs and circumstances. You should consider the Product Disclosure Statement for full Terms & Conditions (available at medibank.com.au/life). Medibank life insurance products are issued by the insurer, Swiss Re Life & Health Australia Limited ABN 74 000 218 306; Australian Financial Services Licence No. (AFSL) 324908, Level 36, Tower Two, International Towers Sydney, 200 Barangaroo Avenue, Sydney NSW 2000. Medibank life insurance products are distributed by Greenstone Financial Services Pty Ltd (GFS) ABN 53 128 692 884; AFSL 343079, 58 Norwest Boulevard, Bella Vista NSW 2153 and promoted by its Authorised Representative Medibank Private Limited ABN 47 080 890 259; Authorised Representative No. 286089, 720 Bourke Street, Docklands VIC 3008. Medibank Private Limited is also authorised by GFS to distribute Medibank Starter Life Insurance. Life insurance: what’s in it for me?